The highly esteemed, universally acclaimed Cleveland Orchestra have announced the long-awaited details of their 2017 calendar at the Blossom Music Center. This season marks the Orchestra’s 100th year of concerts, as well as it’s 16th year of successful partnership with Music Director and conductor Franz Welser-Möst! Saturday July 1 and Sunday July 2 at 8:00 p.m. This celebration of classic composers features Jahja Ling as conductor of the Cleveland Orchestra and the talents of Aaron Diehl on piano. Weather permitting, expect a beautiful fireworks display following the concert! Monday July 3 and Tuesday July 4 at 8:00 p.m.
Blossom’s much-loved star-spangled celebration, featuring the Blossom Festival Band promises a fun-filled night of music and fireworks for the whole family to enjoy! The concert includes a mix of patriotic Sousa marches, Broadway classics, an Armed Forces Salute, and more – finishing with the “1812” Overture and firework display! Saturday, July 8 at 8:00 p.m. 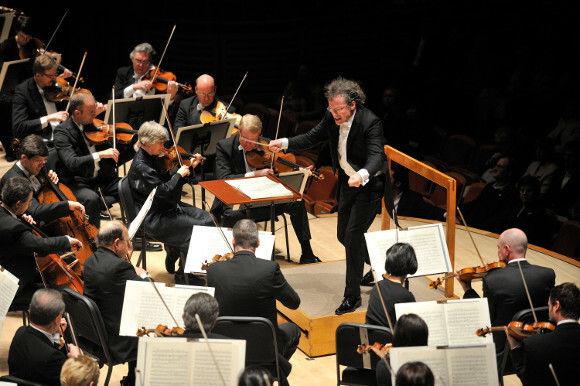 Under the direction of resident conductor Franz Welser-Möst, the Symphie Fantastique will take you through two blissful symphonies by the renowned composers Ludwig van Beethoven and Hector Berlioz. Sunday, July 9 at 7:00 p.m.
On the 9th July 2017, the Cleveland Orchestra presents an evening with a wide variety orchestral selections and arias from much-loved operas by Mozart, Verdi, Strauss and more. Featuring the debut Blossom Music Festival appearance of the incredibly talented Soprano Erin Wall! Saturday July 15 at 8:00 p.m.
A sublime evening of suites and symphonies from favourite composers Milhaud, Roussel, and Beethoven. Written in the Bohemian spa town of Teplice whilst Ludwig van Beethoven was improving his health and dedicated to Count Moritz von Fries, the evening will close with his 7th Symphony, noted by Beethoven himself as one of his very best works. Sunday July 16 at 7:00 p.m. Featuring Jack Everly as conductor and guest vocals from Broadway legends Kathy Voytko, Ted Keegan, Ron Remke, Richard Todd Adams and the Blossom Festival Chorus, the Best Of Broadway brings you songs from all your favourite musicals accompanied by the Cleveland Orchestra! The evening will include songs from Oklahoma!, The Phantom of the Opera, The Music Man and Les Misérables just to name a few! Saturday July 22 at 7:00 p.m. Celebrating the exciting anniversary of its 50th season in 2017, the Kent/Blossom Music Festival began when The Cleveland Orchestra and Kent State University launched a partnership in 1968, the same year as the opening of the Blossom Music Center. Every year in June and July, Kent/Blossom Music Festival brings musicians from across the world to Ohio for professional training in chamber music and classical studies with members of The Cleveland Orchestra. 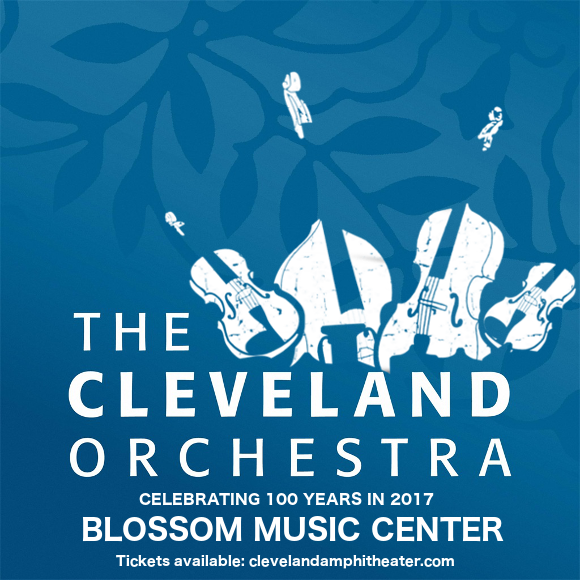 With Jahja Ling as conductor and Eli Matthews on violin, The Kent/Blossom Chamber Orchestra will perform with The Cleveland Orchestra in a side-by-side concert, as well as presenting a special program of music prior to the concert! Sunday, July 23 at 7:00 p.m. In this unique concert, the Cleveland Orchestra pays tribute to the great artists of the 70s! Get ready for a nostalgia trip like no other with the greatest hits from artists including Joni Mitchell, Neil Young, James Taylor, Jim Croce, Neil Diamond and Cat Stevens to name a few! Featuring Rob Fisher as conductor and special guests A.J. Swearingen and Jayne Kelli on vocals and guitar. Saturday July 29 at 8:00 p.m.
An evening celebrating the Romantic composer Rachimaninoff, with a piano concerto by Mozart featuring David Fray on piano, conducted by Vasily Petrenko. Saturday August 5 at 8:00 p.m. This exquisite evening presents two works of Pyotr Ilyich Tchaikovsky; Piano Concerto No. 1 – the best known of all piano concertos! – and Symphony No. 5. 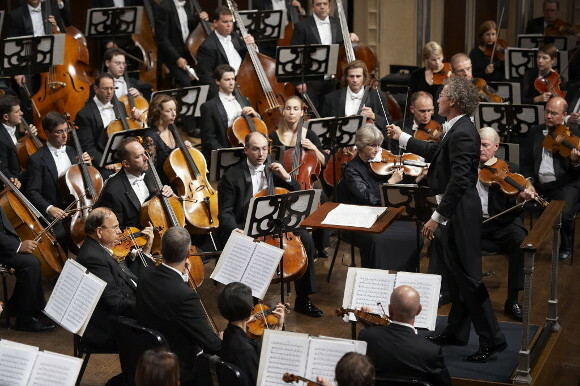 Performed by The Cleveland Orchestra and featuring conductor Robert Trevino and renowned pianist Behzod Abduraimov, this is a concert Tchaikovsky enthusiasts simply can’t afford to miss. Sunday August 6 at 7:00 p.m. Conducted by Juraj Valčuha and featuring the talents of Stefan Jackiw on violin, Der Rosenkavalier begins and ends with the works of Richard Strauss, featuring Nino Rota’s La Strada and Erich Wolfgang Korngold’s Violin Concerto. Saturday August 12 at 8:00 p.m.
On Saturday August the 12th, the Cleveland Orchestra presents a tribute to one of history’s most thrilling and dramatic ballets – Igor Stravinsky’s The Firebird. Also featuring compositions by Ravel, Lalo, and Falla, the evening will be conducted by Gustavo Gimeno, with Johannes Moser on the cello. 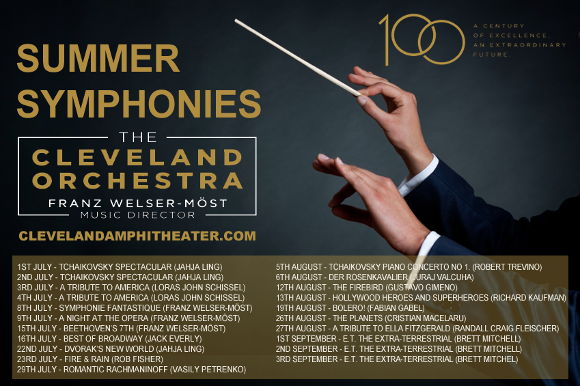 Sunday August 13 at 7:00 p.m.
On August 13th, the Cleveland Orchestra presents something a little different: an evening dedicated to the Hollywood superheroes of old: Superman, Spiderman, Batman, and more! 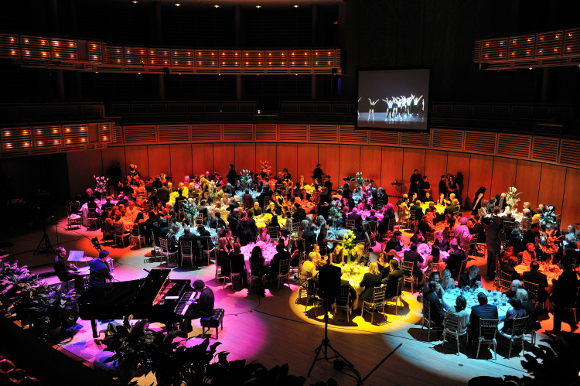 Known for his work conducting orchestras for film and television, as well as live performances of entire movie scores, the night will be conducted by the legendary Richard Kaufman. Featuring pieces from Star Wars, Star Trek, and James Bond just to name a few, this will be a truly unmissable evening! Saturday August 19 at 8:00 p.m.
Join the Cleveland Orchetra in this celebration of Maurice Ravel’s most famous musical composition – Boléro! Commissioned by dancer and actress Ida Rubenstein, Boléro is one of the last pieces Ravel wrote before his illness-induced retirement. Experience Boléro! live with conductor Fabien Gabel and pianist Juho Pohjonen. Saturday August 26 at 8:00 p.m.
One of the most popular and influential orchestral suites ever written, Gustav Holst’s masterpiece takes the audience on a journey through the sven planets and their corresponding astrological characters. Conducted by Cristian Măcelaru, featuring the Women of the Blossom Festival Chorus and Augustin Hadelich on violin, the Cleveland Orchestra will bring Holst’s most famous work to life in a performance that will send shivers down your spine! Sunday August 27 at 7:00 p.m. In celebration of what would be the late Queen of Jazz’s 100th birthday, the Cleveland Orchestra presents its tribute to Ella Fitzgerald. Including all her biggest hits, from “Bewitched, Bothered and Bewildered,” “Someone to Watch Over Me,” “The Lady Is a Tramp,” and “Summertime,” to name a few, the Cleveland Orchestra will pay tribute to one of the most culturally important and musically influential artists in history. Friday September 1, Saturday, September 2, and Sunday September 3 at 8:30 p.m.
Get ready for a different kind of movie experience – the Cleveland Orchestra presents E.T The Extra-Terrestrial on a massive HD screen, complete with live accompaniment! Experience all the magic and adventure of the journey of the alien and the boy in the classic movie with John Williams’s Academy Award-winning score, conducted by Brett Mitchell and performed by the Cleveland Orchestra.